WAIRARAPA-BUSH’s Heartland championship rugby fixture with North Otago at Memorial Park, Masterton, on Saturday will have its share of historical significance. It will be the first game in this competition to be played on an artificial turf and, what’s more, it will be under lights with a start time of 7.30pm. 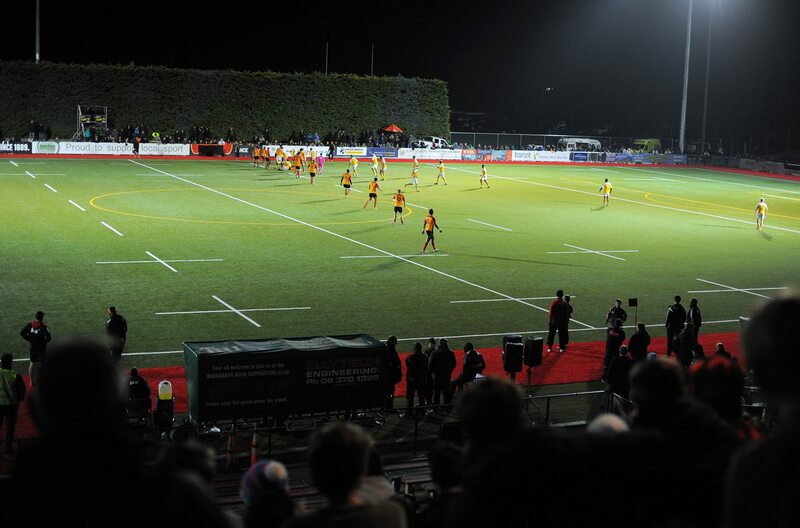 North Otago Rugby Union chief executive Colin Jackson said his board had little hesitation in responding positively to Wairarapa-Bush’s request for a night game to mark such a notable occasion. “We were more than happy to say yes, … that’s the sort of co-operation which exists between the Heartland unions,” Jackson said. Jackson said key officials from the North Otago union, including the president and chairman, would be attending Saturday’s game, and they would be taking particular interest in how the artificial turf played. “Who knows, it could be the way of the future,” he said. Wairarapa-Bush and North Otago had wins when the Heartland championship kicked off last weekend but in very different circumstances. Wairarapa-Bush scored four tries to none in beating Thames Valley 36-9 while North Otago had to fight for their 17-16 victory over West Coast. Having also picked up the bonus point for four or more tries, Wairarapa-Bush came away with the maximum five points and share the early competition lead with last year’s Meads Cup champions Mid-Canterbury, Poverty Bay and Wanganui. On four points are Buller and North Otago and then come Horowhenua-Kapiti on 2 and West Coast on 1. Yet to open their account are East Coast, King Country, South Canterbury and Thames Valley. The TAB have Mid-Canterbury and Wanganui as the joint Meads Cup favourites. They are sitting on $4, followed by North Otago $5.50, South Canterbury $7, Buller and Wairarapa-Bush $8, Poverty Bay $10, Horowhenua-Kapiti $12, West Coast $26, Thames Valley and Poverty Bay $41 and East Coast $101. Providing there are no problems with injuries, the Wairarapa-Bush starting line-up for their clash with North Otago should be similar to that which initially took the field against Thames Valley. However, head coach Josh Syms and his assistant Wayne Roache might be tempted to find a spot for Carterton utility forward Johnie McFadzean, whose relentless work rate had made such a favourable impression in the earlier non-championship games. For Wairarapa-Bush’s three “imports” from the Grammar TEC club in Auckland, Andrew Makalio, Solo’tala Fao’aso’o and Viliame Hala, the North Otago game will be their first appearance at union headquarters, and that is sure to be a crowd puller due to the huge impression they have made in their past two outings.